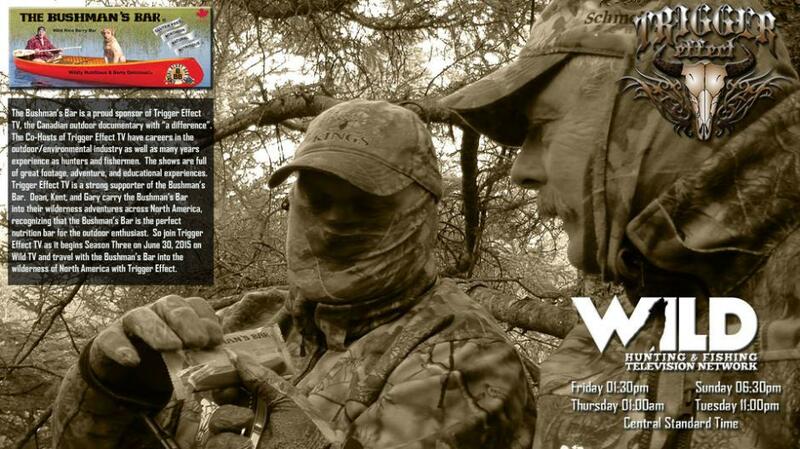 WHY DO THE CO-HOSTS OF TRIGGER EFFECT TV LIKE THE BUSHMAN'S BAR? The Bushman's Bar is the natural choice for a nutritious, portable snack for all of your travels. The Bushman's Bar is not dry and crumbly. It can be packed into a purse, knapsack, fishing box, or your pocket when you are flying on a holiday, going fishing/hunting, or hiking your favourite trail. The bar will not melt in the sun. The Bushman's Bar is easily frozen for future use, just thaw for thirty minutes and you can enjoy the soft, chewy texture of the Bushman's Bar anywhere, in any country. Pack a bar along next time you travel to ensure that you will have a gluten free snack for your trip that is Wildly Nutritious and Berry Delicious! Scott Fraser is a member of the The Black Jack Ski Team, an elite ski race team that grooms top athletes for Canada's National Ski Team. 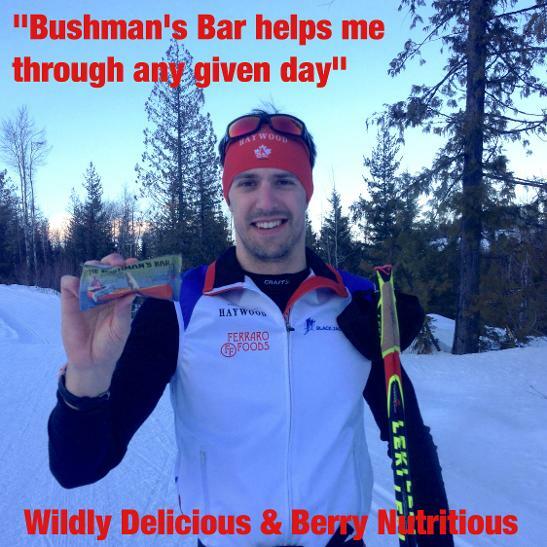 He uses The Bushman's Bar as part of his training regime, enjoying the quick and sustaining energy he gets from The Bushman's Bar. Well, it's not exactly global...but The Bushman is everywhere!!!! Here he is at the Star News Headquarters in Emerald Park, Saskatchewan. Gerald and his family took The Bushman's Bar to Machu Pichu in Peru this summer. Built by the Incas over a 300 year span with one million miles of trails (above and below ground) Machu Pichu is one of the Seven Wonders of the World. Larry and Brenda took The Bushman's Bar on their hike along The Appalachian Trail. This 2,200 mile trail passes through 14 states in the eastern U.S.A.
Melanie took The Bushman's Bar to Thailand. She wrote, "This is JoJo on top of the hurricane evacuation point on Koh Phi Phi Island". 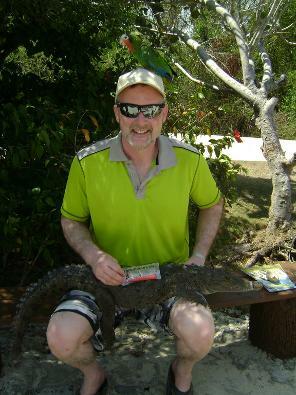 Who gets to eat The Bushman's Bar in Holguin Cuba....the parrot, the crocodile...or Rick?